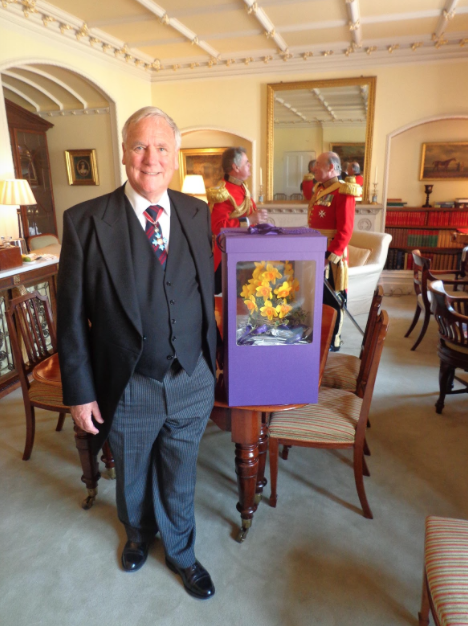 For good or ill the national obsession with chocolates and flowers continues – particularly at this time of the year. 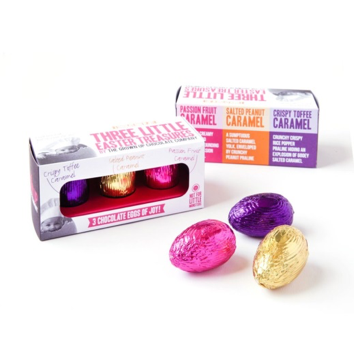 According to recent figures – In the UK, 10% of all chocolate is consumed in the form of Eggs over Easter, with the country being the fourth largest consumer of chocolate (per head of capita) in the World, behind Switzerland, Germany and Austria. On average, each person in Britain eats approx. 9.5 kg of chocolate each year. When it comes to flowers, according to aboutflowers.com a staggering 26% of ALL flowers are purchased from florists on Mother’s Day, surpassed only by Valentines Day. 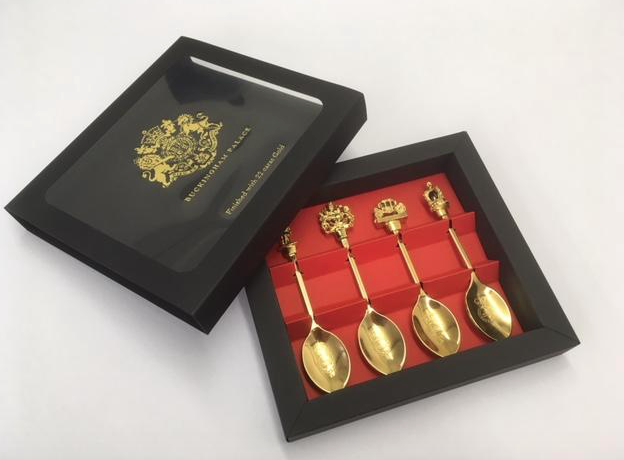 Naturally as the UK’s premier manufacturer of presentation packaging this period is extremely important to us here at GWD Ltd . Indeed we have a substantial number of florists and chocolatiers amongst our clients. Here are a few examples of products we have made over the past year. 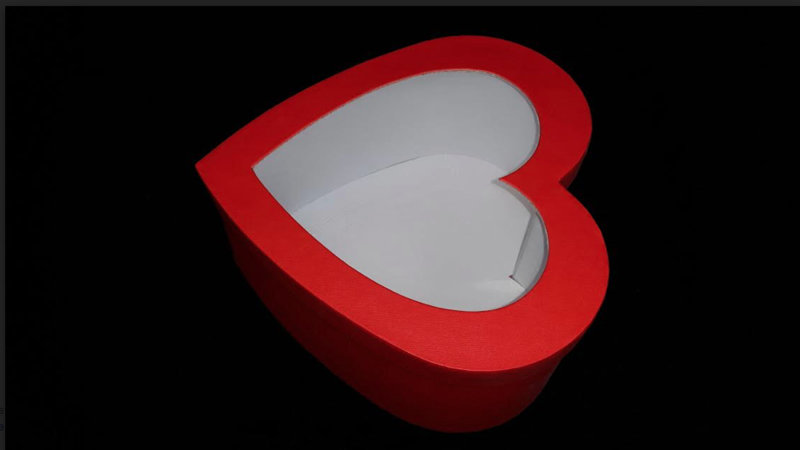 This heart-shaped box with a window was manufactured here in Essex for flowers, specifically preserved flowers and rose heads. These have a life of 3 years or more and are used as table decorations, centrepieces and other ornamental uses. The packaging therefore, has to be robust as well as stylish. The two photos above show round hatboxes that were produced for different flower growers/importers: Exprezzion and MM Flowers . They were used in the sale of their flowers at two leading supermarket chains and for their online sales. 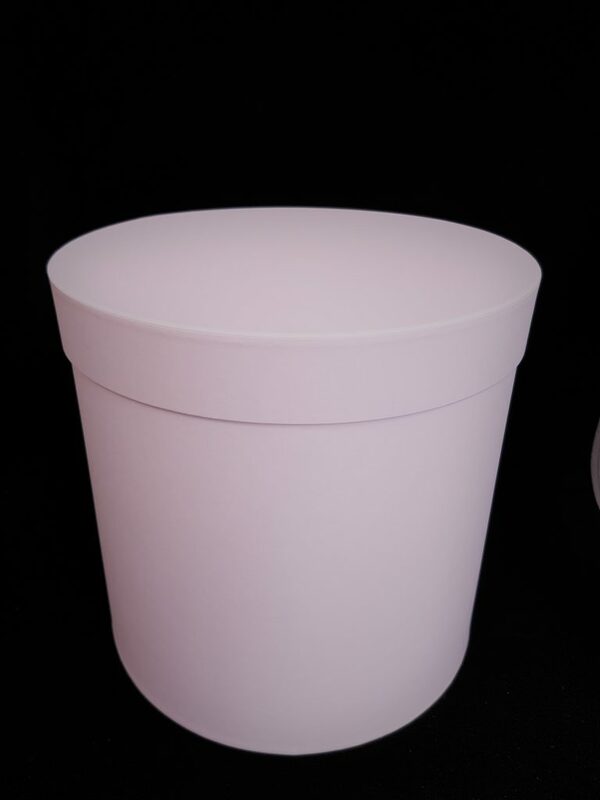 Hat boxes, with or without lids, are widely recognised as a very up-market way of presenting flowers for that special gift or loved one, and GWD Ltd make them in a range of sizes, from 150mm diameter to 150mm high (and smaller if required) up to 300mm diameter x 300mm high (and bigger if required). 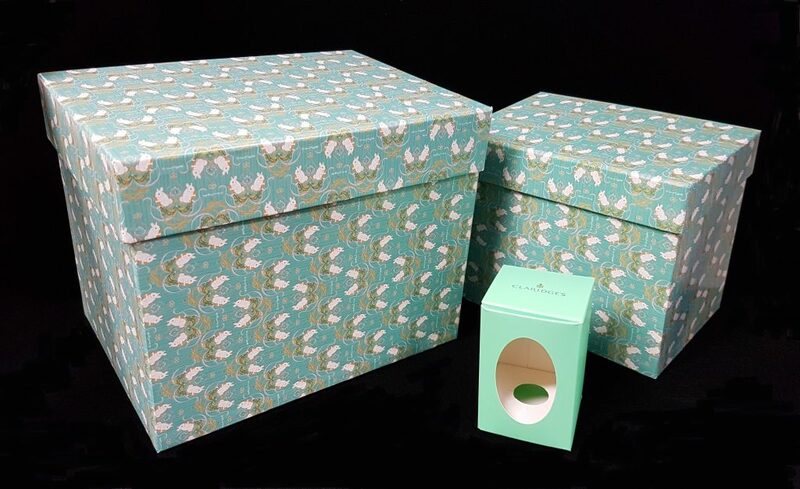 The Easter egg boxes in the picture above show two high-end, bespoke, rigid Easter egg boxes (with separate box and lid) that were made for The Secret Truffletier who create handmade champagne truffles, Swiss Chocolates and luxurious dark chocolate truffle gifts. At the other end of the scale the image also shows a small fold-up carton for a much smaller egg. This was personalised for Claridges , the luxury hotel in Mayfair. It is an equally high-end product. Whatever product your have, you can be assured that GWD can help you with the perfect presentation packaging to help it sell, online or in the shops. We’ve been creating packaging for florists and chocolatiers for over 30 years. Please get in touch. So Christmas is here once again and at GWD Towers we’re busier than a whole Grotto of Santa’s Elves! Some of the Christmas packaging we make for our clients is designed and manufactured by the end of Summer, but because we deal with so many different kinds of businesses we are also at full tilt, right up to the last moment. Not that this is a ‘Bah Humbug’ type of post, far from it Christmas is, naturally, a hectic time for the packaging industry and we’ve been very busy indeed this year creating hamper boxes, advent calendars and special presentation/gift boxes for products, as well as more generic boxes such as those in the image above. These are more generic products that shops or outlets pack themselves, perhaps adding a ribbon or similar embellishment. 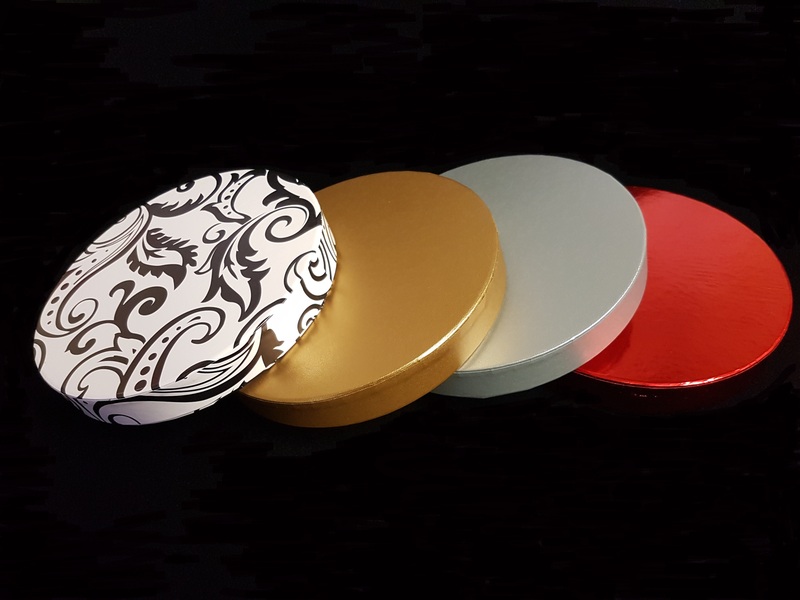 We have mentioned elsewhere in this blog that we are one of the very few companies in the UK that can produce round ‘hat’ boxes, and these are very popular with chocolatiers and hamper companies, particularly for this season. 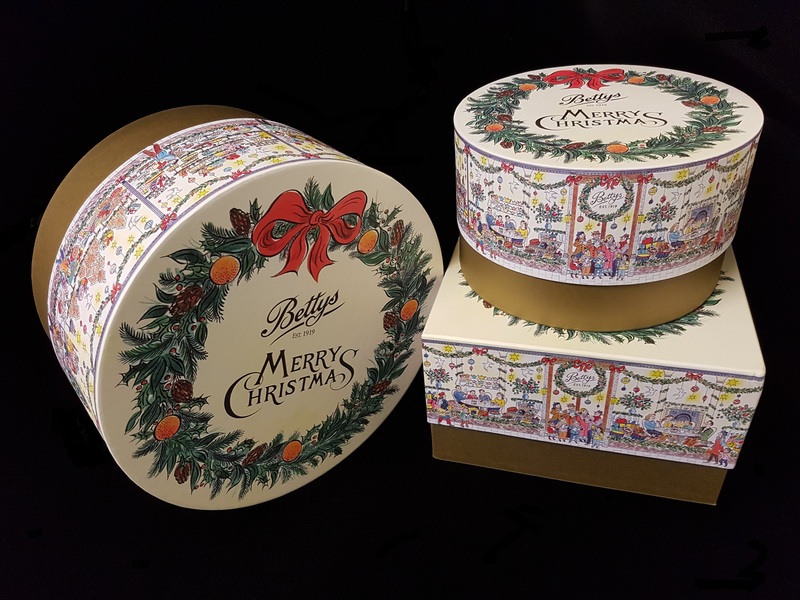 The boxes above are produced for Betty’s of Harrogate, one of the premier chocolatiers and gift food companies in the country. Most years, Betty’s will contact us with new ideas or designs and the packaging will be updated. In the image above are some more boxes made for Betty’s further illustrating what we can do for chocolate companies. 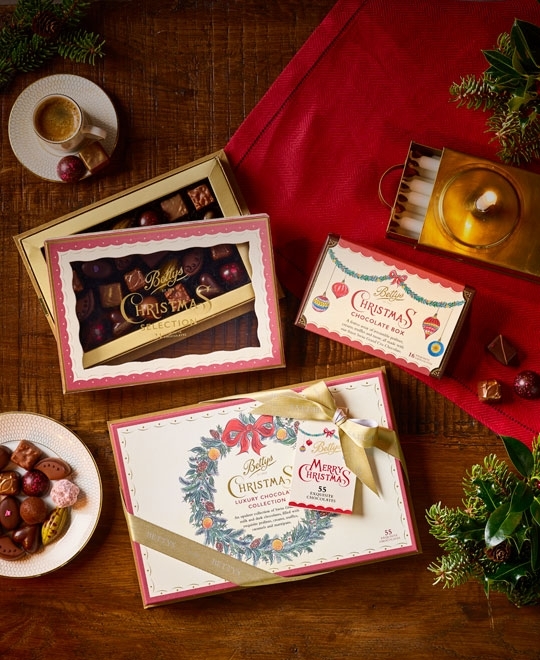 The rectangular box (top left) has a gold foil blocked clear window, allowing the chocolates to be viewed in their full glory. This is achieved with the use of a ‘cavity wall tray’, the gold frame, which sits inside the box, which is invisible until it’s opened. 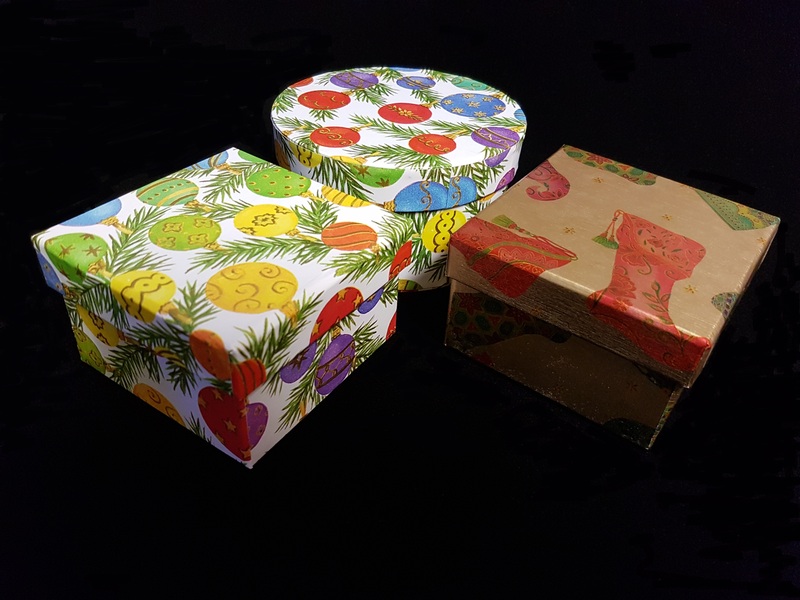 The smaller box in the photo is a generic, shouldered box made for Betty’s, that is turned into a Christmas box with the use of a sleeve. 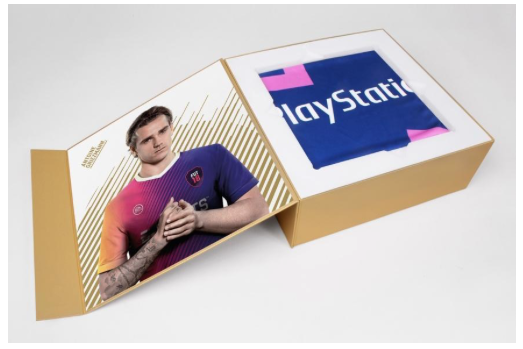 This is a great idea for companies who wish to brand their products for particular seasons or events – the box itself remains the same but the sleeve can be redesigned on demand. 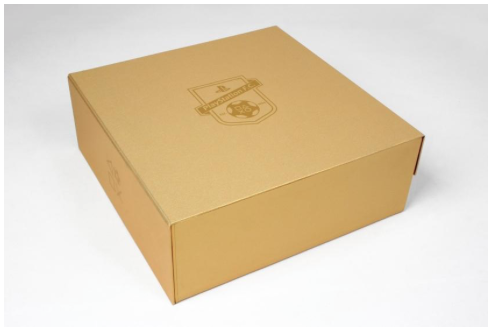 We also supply smaller independent shops and outlets with our high-quality rigid boxes. 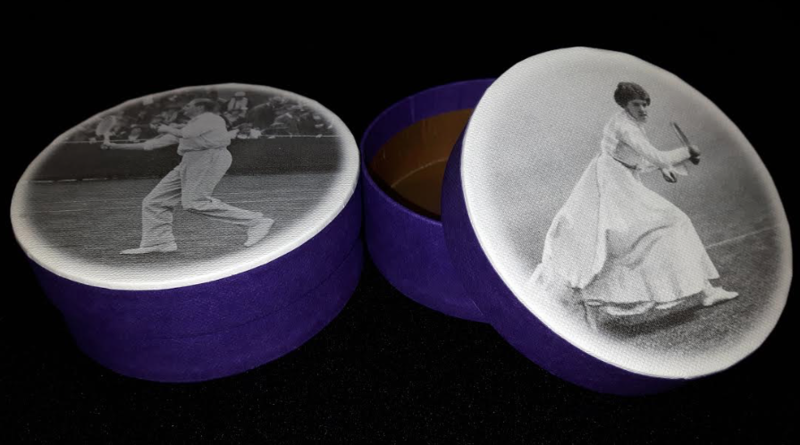 These circular boxes (above), although quite complex to manufacture, can be produced in relatively small runs and are ideal for chocolates! If you would like us to help you present your chocolates (or indeed any other product) in it’s best possible light – please don’t hesitate to get in touch! 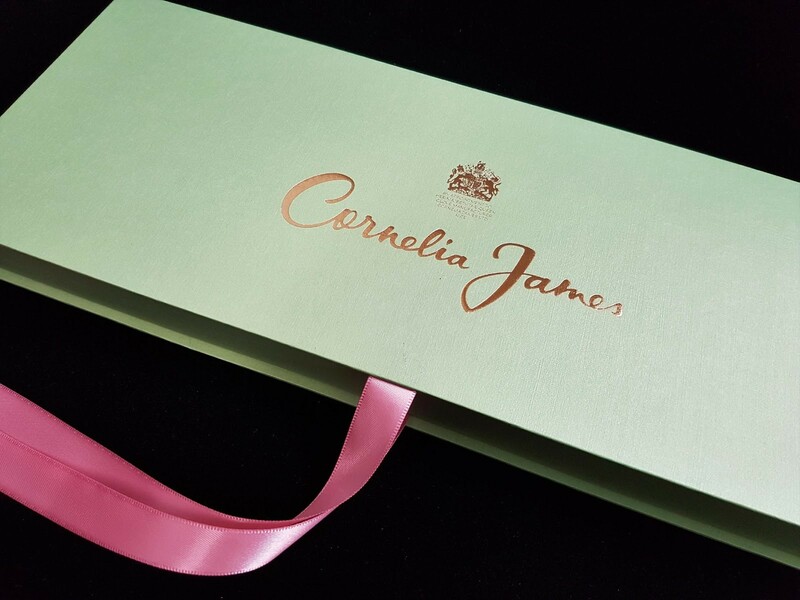 This blog has previously detailed work we’ve done with the wonderful Cornelia James, specifically here Cornelia James create exquisite, hand-stitched gloves and are holders of the Royal Warrant – granted to companies who have supplied HM The Queen, HRH The Duke of Edinburgh or HRH The Prince of Wales for at least five years. 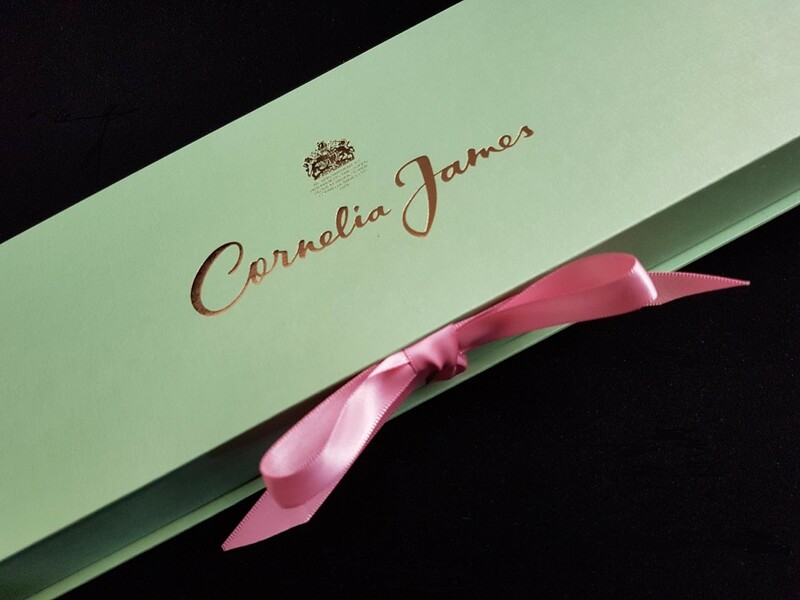 Cornelia James were granted a Royal Warrant in 1979 and have held it ever since. It is not a prize but rather a recognition of excellence consistently achieved – recognised the world over as a mark of quality and excellence which cannot be bought at any price. During WWII the cockpits of Hurricanes and Spitfires were painted in a particular shade of light green. After the war large reserves of this paint was left over, so much so that Land Rover bought up a vast amount of it and used it on many of their post-war models. As such the colour has become synonymous with ‘Britishness’ and a ‘golden’ period in our history. Given that in 2016 an estimated 70% of all Series Land Rovers and Defenders ever made – 2,016,933 vehicles – were still on the road the colour has also become synonymous with reliability, quality and craftsmanship. In that regard there’s an obvious synergy with Cornelia James’ products. Similarly, the first Landrover was manufactured in 1948 and Cornelia James was established in 1946. In that period everything was rationed or in short supply – hence the making use of the available light cockpit green paint and the popularity of gloves as a way of sprucing up an outfit for fashionable ladies without using up too many precious ration coupons. Finding the exact colour did not prove to be simple. Having an example of the paint is one thing, finding the exact PMS (pantone matching system) colour equivalent that works in print is quite another. However, we are nothing if not resourceful here at GWD, and the correct hue was eventually arrived at. 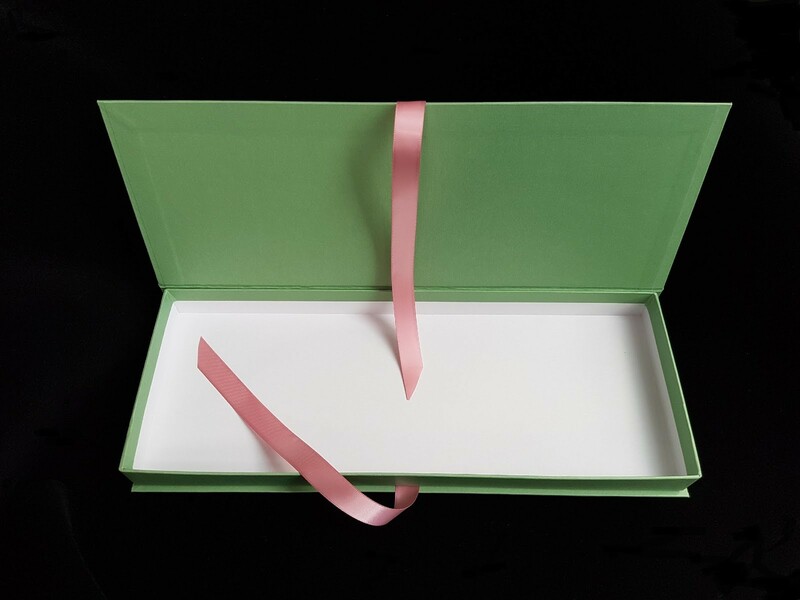 The style of box was also changed from a simple box and lid, to a more elegant hinged lid box that closes with ribbon ties. The paper used to cover it has a linen texture, this gives the packaging a tactile quality which oozes class. We are particularly pleased to continue working with Andrew and the team at Cornelia James and look forward to continuing the relationship over the years to come. 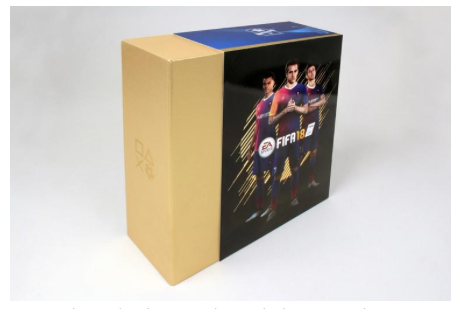 It is well detailed in this blog and elsewhere that we like to consider ourselves experts in the field of presentation packaging, For example the packaging we created with the creative agency Fluid for EA Sport’s FIFA18 videogame. We speak less of our work in ‘promotional packaging’ –specialty promotional or corporate packaging that is often used for business-to-business (B2B) promotions, used to launch products and/or for PR, marketing and advertising. 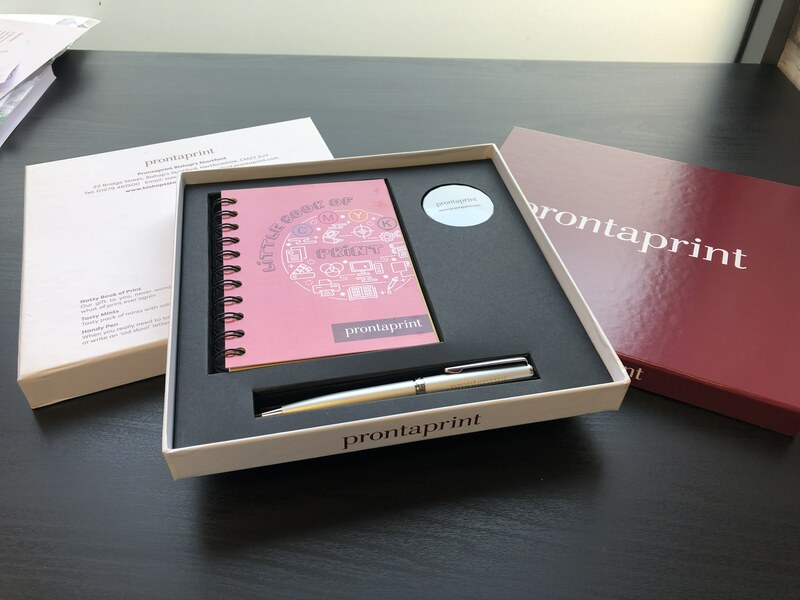 Earlier this year we were approached by Anna Sedgbeer of Prontaprint Bishop’s Stortford an independent print and design company who service Herts, Essex and London. 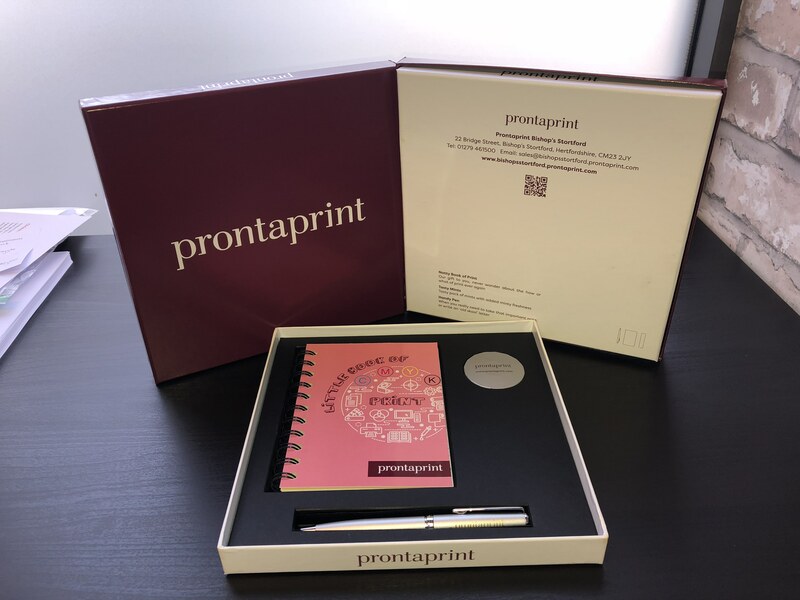 Anna was looking for a box that she (and other former Prontaprint franchisees) could use as a marketing tool for their clients. 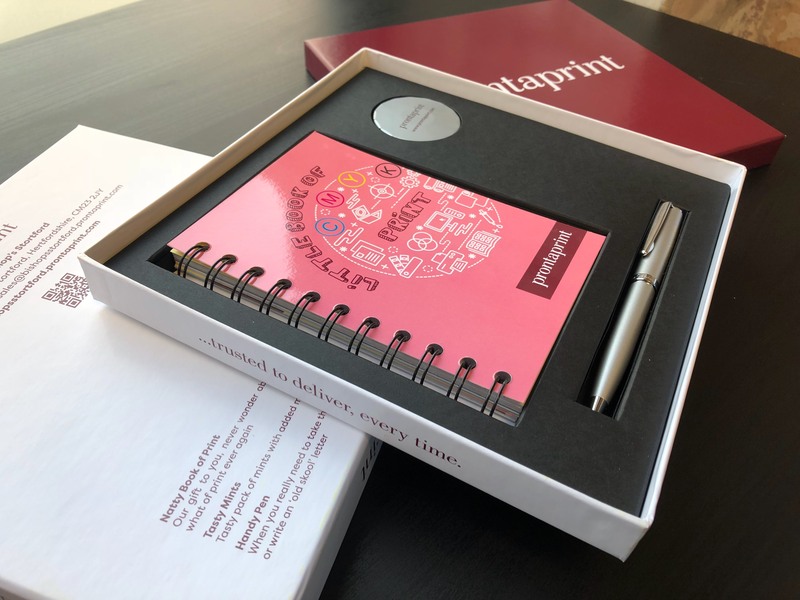 Anna chose the contents for the box, in this case a branded pen, a box of mints and a ‘Little Book of Print’– a booklet highlighting their work and what they can offer their clients. 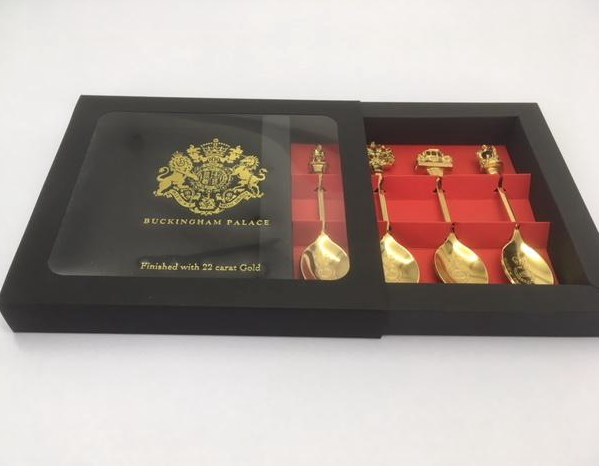 Our job was to create a box to present these items in a professional and stylish way, creating a ‘wow factor’ when the box was opened. We created an internal platform and inserts to hold the contents in place as you can see in the images. 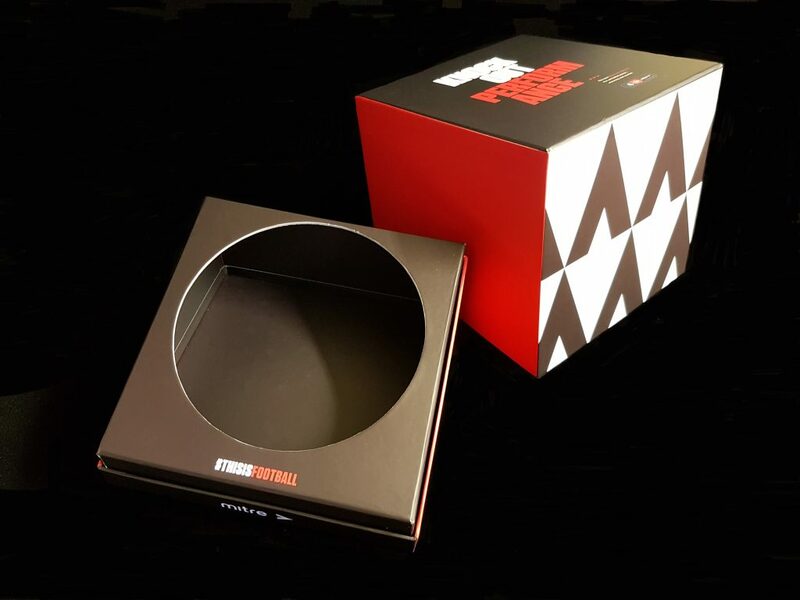 They went with a fairly basic square box and lid, which was printed with the Prontaprint branding (on the lid) and the details of the different individual Prontaprint businesses on the bottom. While this is not a particularly complicate project for GWD, it does highlight how we can help businesses present themselves to clients or customers. Sometimes a little ‘old-fashioned’ marketing can be very effective and promote your brand or company extremely well. 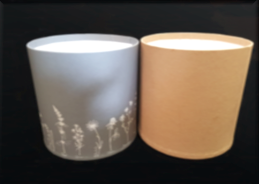 Promotional items can for a very important part of a corporate campaign and our presentation packaging design department will rise to any challenge that your idea or promotional product might present. We are happy to work with any concept or item, and we’ll work with you – within your time frame and budget to create the best results. So, if we can help you or your clients with any promotional or presentation packaging requirements, please do get in touch. This blog post is being written at the end of July 2018, in the midst of a heat-wave with temperatures at 31C, and set to go even higher! It’s so difficult to recall how cold last winter was in heat like this. Work, of course continues at pace here at GWD, regardless of the weather, and the design team and cardboard engineers remain extremely busy, including working on this years Christmas products! Thinking of the heat though we were reminded of a particular piece of packaging that was designed to be kept in a fridge (for a limited time at least)! 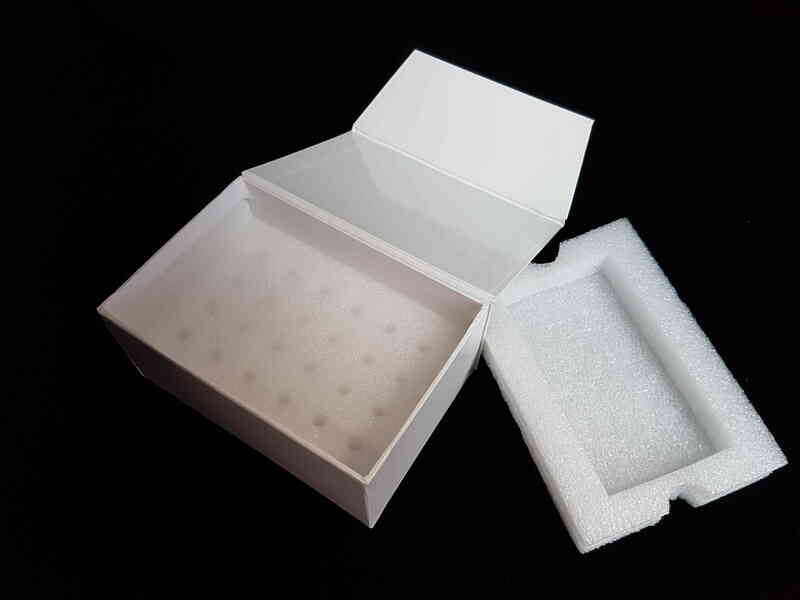 We were commissioned by Bio-Rad Laboratories to create a small box to hold 24 small test tubes or vials that would be suitable to be stored in a fridge. 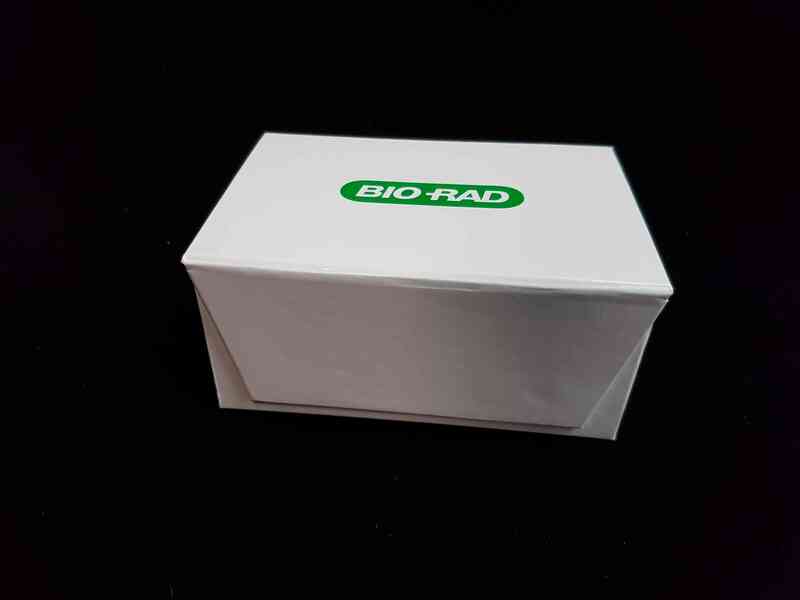 Bio-Rad is an international company but we deal with the German office, and in particular with the R + D team, Custom Antibodies, Life Science Group. It is important to note that cardboard is NOT suitable to be stored in very cold conditions indefinitely but it was suitable for the client’s purposes in this instance, as they were to be used to send samples to their clients and needed to be stored temporarily before they are despatched, kept refrigerated in transportation and then for a short while after arrival. As you can see the box has a magnetic closure and is wrapped in laminated paper. This is crucial if the box is to survive in refrigerated conditions. The two part foam inserts are made from Stratocell, an expanded polyethylene, which acts as an insulator and is suitable for use in refrigerated conditions, and has the added advantage of being recyclable (in a bottle bank). 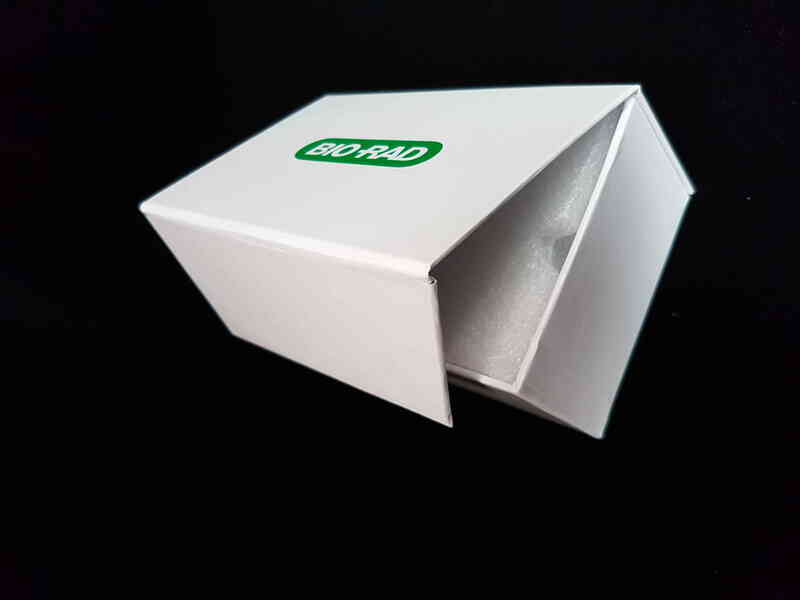 GWD have made these boxes for Bio-Rad Laboratories on at least three occasions – changing the original Velcro closure to a magnetic one after the first run. We have done a few jobs for companies in the scientific sector and it’s an area where we believe our particular expertise in this kind of packaging has much potential. 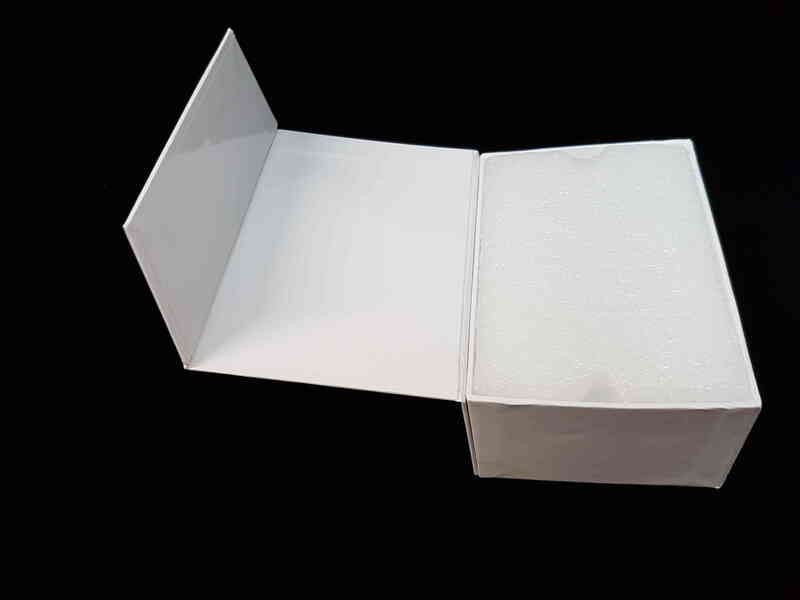 Posted in Box Making, Manufacturing, Specialist Packaging	| Tagged freezer product packaging, life sciences	| Comments Off on It’s Hot Out There! 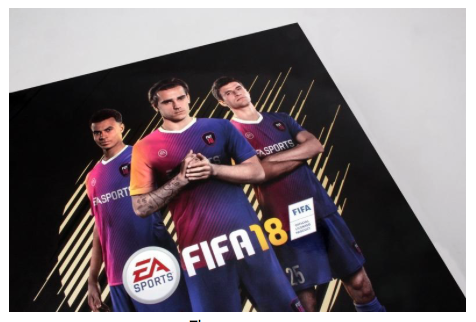 With the FIFA World Cup about to kick off this June, we thought that there would be no better time to talk about the packaging we created for EA Sport’s FIFA 18 videogame in September last year. 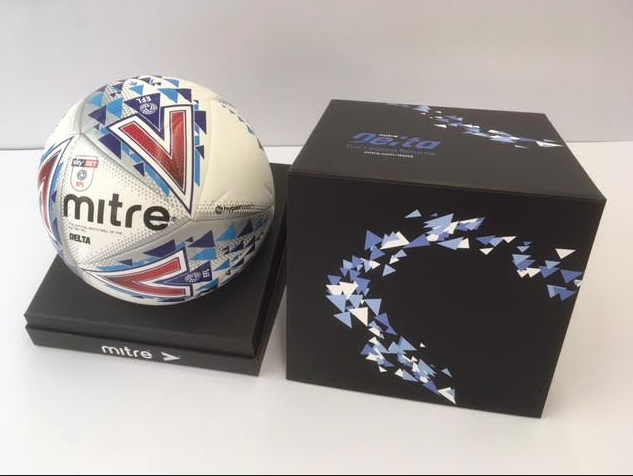 We often create packaging for launch and press events which are very exciting, as it gives us the opportunity to work with our client on creating something truly unique and distinctive. We worked with the creative agency Fluid in order to deliver some truly outstanding packaging for their client’s launch event. Fluid were the designers in this process; they developed an innovative design which we, as cardboard engineers, had to make into a reality. Creative agencies such as Fluid are great contacts for us at GWD as we pride ourselves at being adept at turning their creative designs into beautiful packaging. 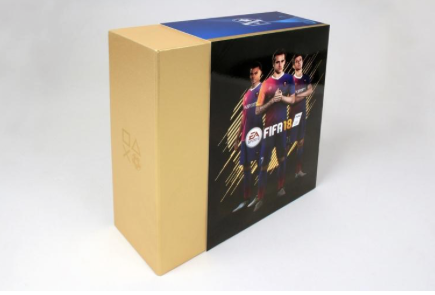 The FIFA 18 game used technology which is said to be “the biggest step in gameplay innovation”. 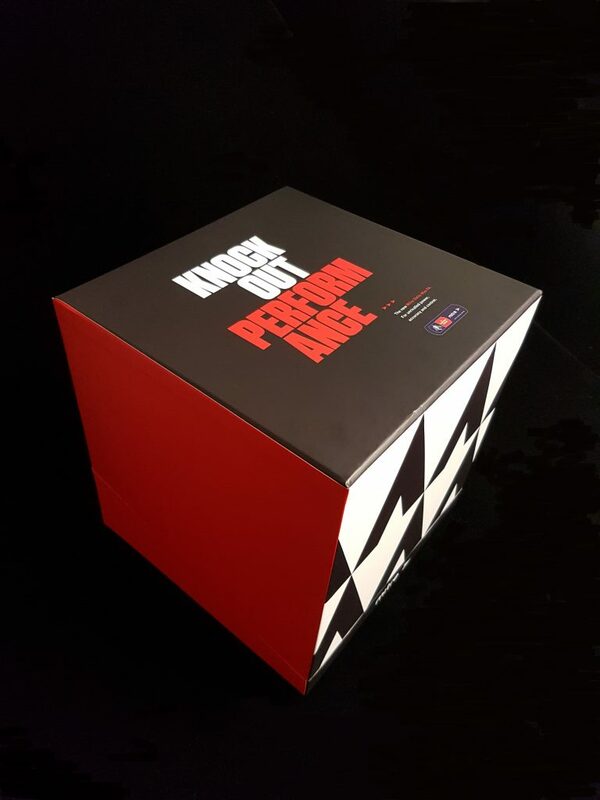 Due to this, the team really wanted the experience to start as soon as the box was picked up by the media/influencer recipients. 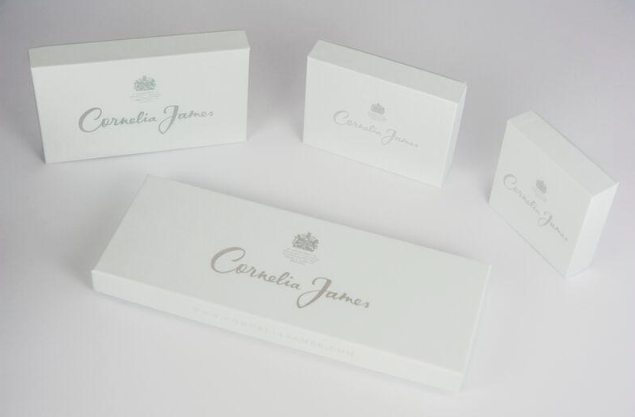 Playing on a gold and white colour palette, the boxes were wrapped in metallic gold paper. As with any companies branding, a logo should always stand out. 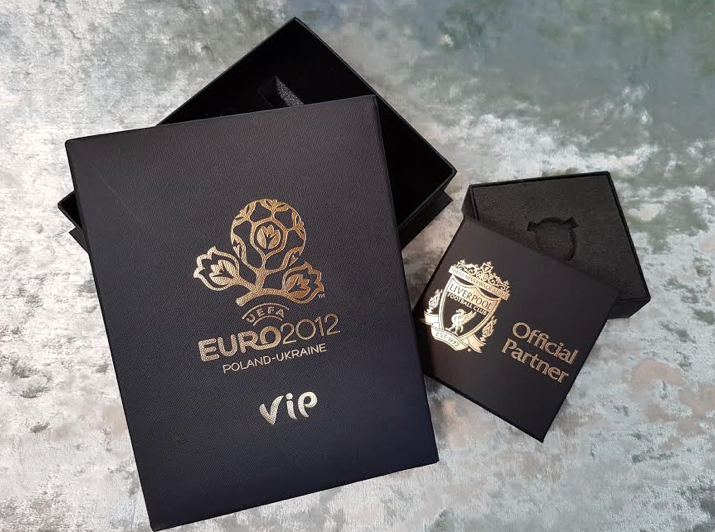 With this in mind gold foil was employed and the logos were embossed on the front and sides. 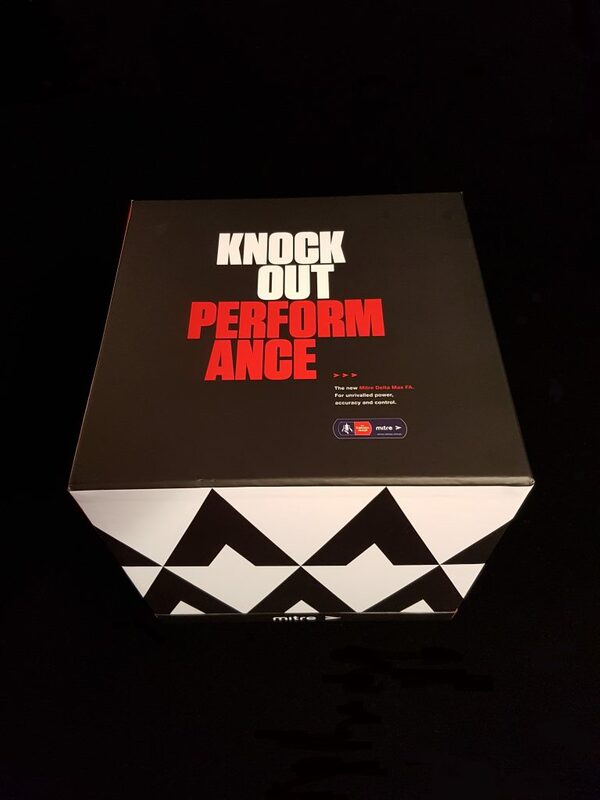 The final product took the form of a deluxe presentation box which contained the game and a range of FIFA/PlayStation content and merchandise; which was displayed to great effect using a bespoke white foam fitment which held each piece inside the box perfectly and securely. It was finished off with a magnetic closure. For this job we worked closely with Fluid throughout. They had the idea and concept, and it was our job to engineer it and make it work commercially. If you have an idea for packaging, then please bring it to us here at GWD! 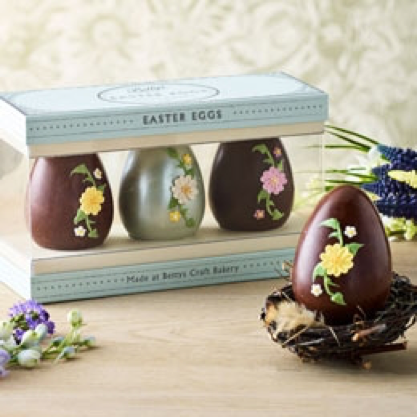 For many, Easter means time off school, overdue family time, beautiful daffodils starting to head in the gardens and not to mention… eating copious amounts of delicious chocolate! We have all been there; sitting on the sofa with the ‘Christmas dinner feeling’ after successfully demolishing your final chocolate egg. 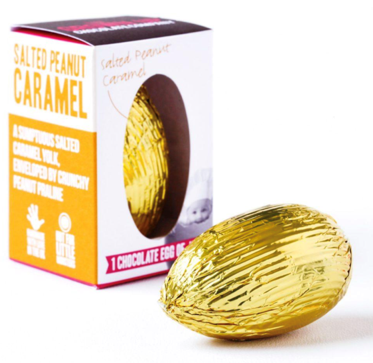 Easter is the number one chocolate-selling period of the year and quite astoundingly, the first Easter egg went on sale in Sainsbury’s in JANUARY this year! According to The Telegraph, us Brits eat 11kg of chocolate each year, so it’s no wonder why Easter is celebrated by the masses. 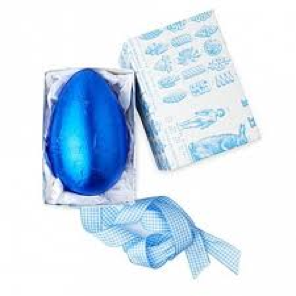 For us, Easter is a fantastic marketing platform for gift & confectionery companies to show off! The pastel colours, the cute bunnies, the gold ribbon… it WORKS. Both B2B & B2C business can benefit from this holiday. Think about wowing your valued customers and suppliers with beautifully packaged edibles to show them how much you appreciate their support. Be sure to consider your corporate clan in the Easter excitement as our cardboard engineers can create marvellous, bespoke and branded confectionery and gift packaging to meet your requirements. In this day in age, a healthy conscience is being embedded into our brains by the TV, media, industry leaders and even our own family! Instead of gifting a traditional chocolate egg, more and more people are opting for Easter gifts (which last A LOT longer than chocolate!). Even though the Easter gifts that are sent to us, to create beautifully packaging for, are not always egg-shaped, they are always guaranteed to hatch a smile! We have been honoured to work with some of the UKs best names in chocolate including Rococo, Bettys and The Grown Up Chocolate Company. 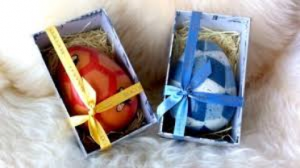 Posted in Box Making, Chocolate box, Easter	| Tagged Box making, Chocolate, Confectionery, Easter	| Comments Off on Egg-cellent packaging for Easter!